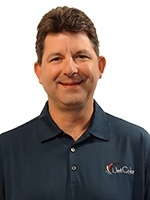 Bill is the Director of Sales a iJetColor. When you set out to compare printers, it can be all too easy to get caught up in the details and forget one of the most important variables: the printer you choose needs to help you and your business meet needs that are not being met. We just launched the next generation of inkjet technology, the iJetColor NXT, at PRINT18 and are excited to have added another profitable short-run envelope solution to our iJetColor family. So, what’s new with the NXT? With the largest print show of the year approaching, printers around the country are beginning to think about the new equipment and technology they want to see. With all of the options and varying technologies, where does one begin to discern what equipment is right for them? When it comes to printing short-run envelopes, we believe finding the right equipment starts with three simple questions. Here are three areas where you can clearly see the difference between inkjet printing and toner-based printing. When businesses choose the iJetColor Press, they're typically replacing an older, toner-based system, replacing a press, looking to increase their services and capabilities, or wanting to become more efficient without increasing overhead. Nowadays, businesses are focusing most of their energy on online marketing. They’re able to personalize emails and grab the attention of their readers by sending them messages with words and images that are picked just for them. These same efforts that help businesses stand out online can be even more effective offline. One of the best parts of my job is hearing feedback from our customers. I love hearing how the iJetColor has impacted their bottom line and changed the way they handle short-run envelope printing. Below, I've outlined the top three things our customers share about their experience with their new envelope printer. As you saw in the video, Dee Washburn of Service Envelope in Northbrook, IL has experienced the iJetColor Plus envelope printer's impact on her business first-hand. In just a few short months with the machine, her experience has been "great" and the service has been "phenomenal."